Please select an option Royalblue Khaki Black+red Green Black+grey Please select a color. Designed in versatile and various colors. Easy to wear and pair with other clothes. 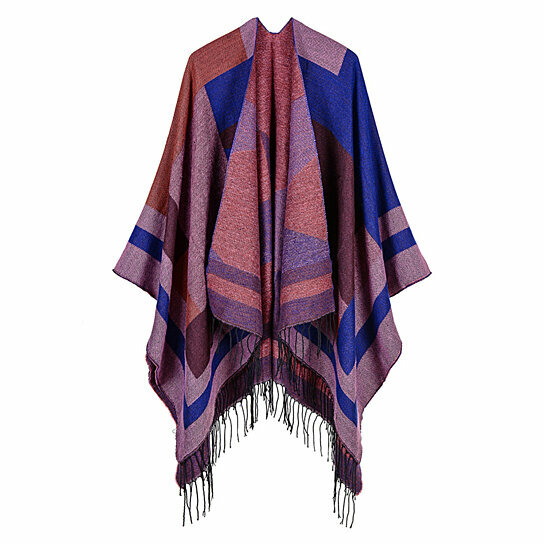 The shawl is designed to be used as a shawl, cardigan, ,blanket,,and scarf. Owning it is equal to having a scarf cape and a cardigan. Perfect for casual outings, school, office, dates, and parties any occasion.Best option of gifts for family and friends.